If you have a huge collection of photos stored in your computer hard drive, what will you do to make them special? Have you ever thought of turning your favorite pictures into a movie file to bring vitality to them? By creating a photo slideshow movie, you can convert photos to video with ease so that your great photos will be presented in a different way. You can choose to transfer the photo slideshow video to mobile devices like iPad, iPhone, iPod, BlackBerry, Kindle Fire, Samsung Galaxy, HTC, etc. for playing on the go, or share the photo slideshow video to social websites like YouTube and Facebook. This is what Photo to Video Converter is all about. 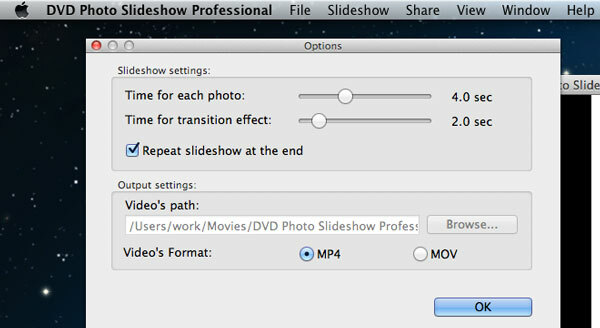 Photo to Video Converter lets you make a slideshow of photos and convert photos to video easily. 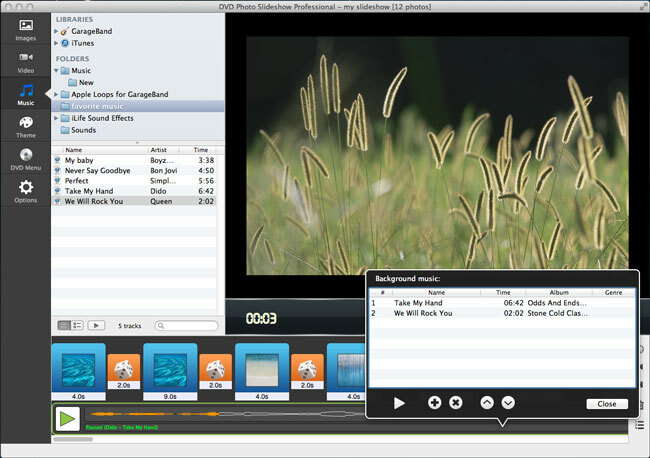 You can add background music, apply transitions, set Pan & Zoom effects, insert text, etc. to make your photo slideshow true to life. 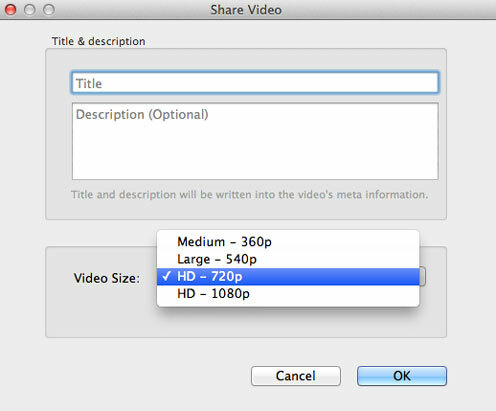 Now let me show how you can convert photos to video on Mac OS X using Photo to Video Converter. 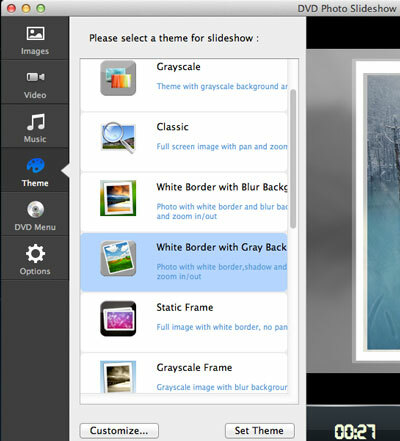 Click the Theme tab, and you can select a theme for your slideshow video. You can also click the Customize button and select a background image for the theme.